A rose from Lira. Thanks sis for this! A rose is a flowering shrub of the genus Rosa. It's the classic expression of love because a rose flower pours forth your innermost feelings to your beloved in the most beautiful way. So give a rose to your loved ones and friends and make anyone's heart bloom with joy! My online friends make my day aside from my family. 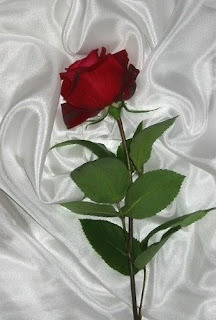 Now, I want to pass this rose to my dear friends, Ging, Juliana (Pinay WAHM), Mica, Juliana (NY) and Mari. thank you for the tag manang liza... i'll post it in my blog later. will be back for the link. thank you po. iuwi ko na ha. tulog ka na ba manang?